If you are looking for Brooklyn’s underground scene, go to Bushwick . 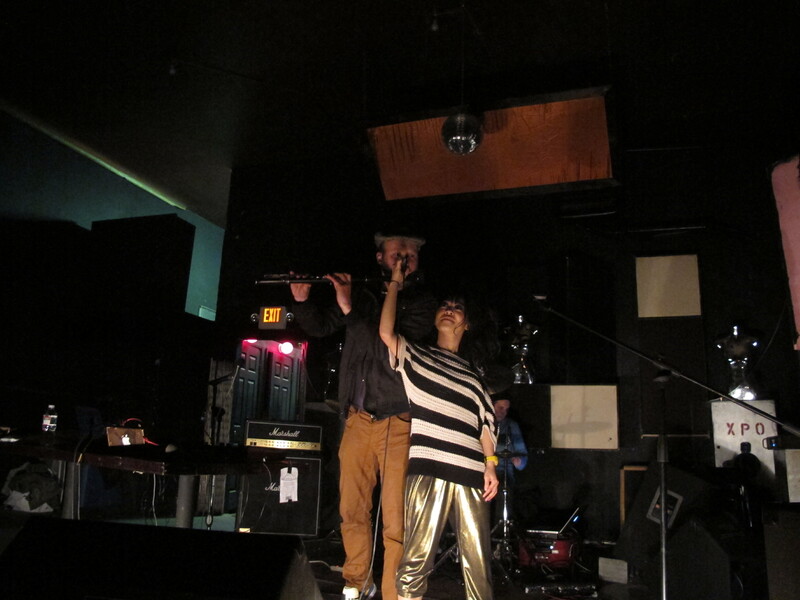 You will find plenty of artists, photographers, rehearsal spaces in old industrial buildings and venues like Xpo 929, where Tim and Puma Mimi performed on Friday night. The electro duo from Zurich is in New York to shoot a video for its upcoming album – The Stone Collection of Tim and Puma Mimi – to be realeased on May 11 in Switzerland (on Mouthwatering records). The band took the opportunity to add a few shows to the trip, including one at Pianos, a well-known venue in the Lower East Side of Manhattan, and one in Philadelphia. Tim and Puma Mimi’s gig at Xpo 929 was a typical New York rock’n roll experience. They found in Bushwick a mostly empty and dark space filled with the lone members from other bands on the lineup and a few post-punk girls with heavy black eyeliner as well a passionate sound engineer pushing up the volume to make up for the pretty bad acoustics. But the duo – Tim (Christian Fischer) and Puma Mimi (Michiko Hanawa) – joined by Swiss drummer Georg Bleikolm from Lausanne stood out with its elaborate mix of electro and rock, English, Japanese and even French lyrics in “Belleville Rendez-vous”, one of the tracks on its new record.